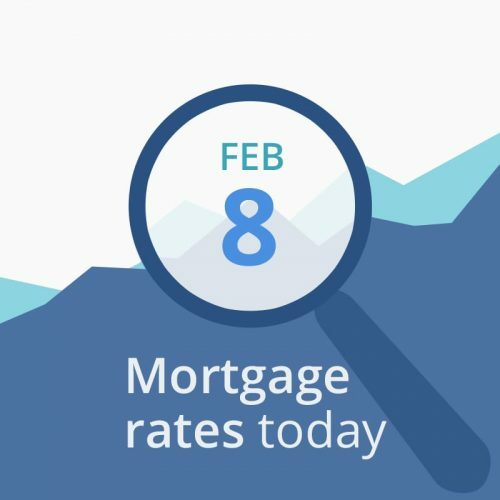 Average mortgage rates today opened nearly unchanged. We have no scheduled economic reports, so rates will take their cues from global economic events, the financial data below the rate table and national news here. According to Mortgage News Daily, we may expect lower rates later today because of economic “disappointment” in Europe. That often leads overseas investors to purchase US bonds and mortgage-backed securities (MBS), causing their prices to rise and rates to fall. Today’s financial data are mostly favorable for mortgage rates. CNNMoney’s Fear & Greed Index fell 7 points to a reading of 56 (out of a possible 100), from “greedy” to “neutral.” That is excellent news. “Greedy” investors push bond prices down (and interest rates up) as they leave the bond market and move into stocks, while “fearful” investors do the opposite. If you can get a good rate today, lock it. You might want to check later and see if there have been any improvements. But if you need to float a day or so to get a better rate (a 15-day lock instead of a 30-day lock, for example) you can probably do so safely.